These stainless steel cabinets are fully custom. This are made to order and take about 4 to 6 weeks depending on size. 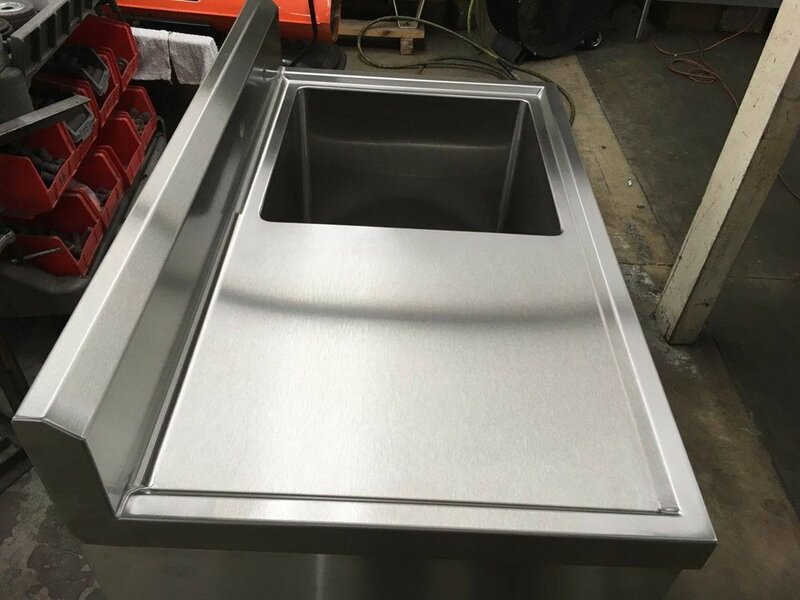 We use restaurant grade 304 (16 gauge) stainless steel for the counter top which provides a clean, durable and professional look. The bodies are stainless steel or can be powder coated. You can order these with caster wheels or leveling legs. Please call or email for more information.